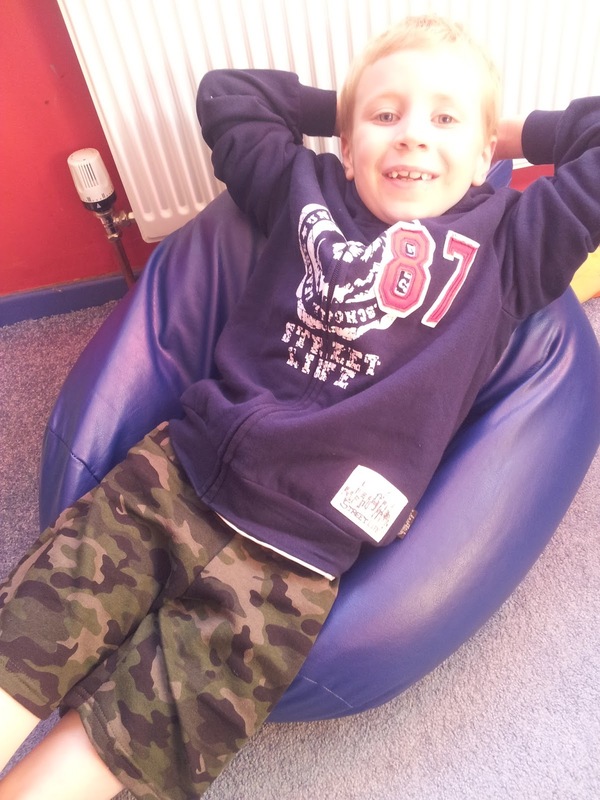 When it comes to fashion Jamster loves to be comfortable, but having his favourite characters on his clothing is pretty important to a 7 year old too! This Zulily styled outfit was therefore ideal with camouflage shorts for cool summer play, a jacket incase of showers (well it is England!) 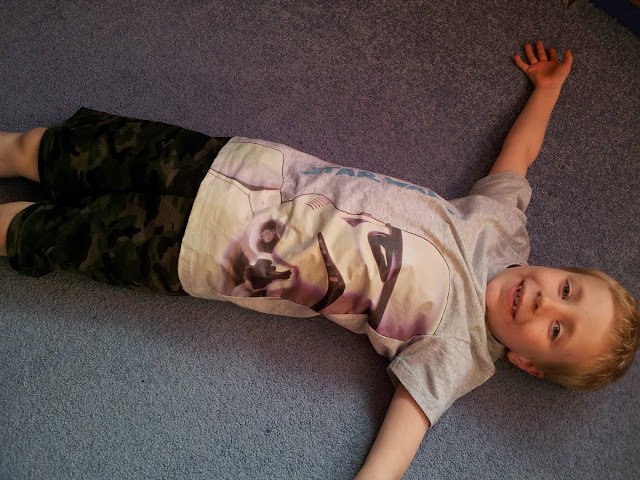 and a Star Wars top for his love of the movies. Zulily is a members only site which has huge reductions of up to 90% off retail prices and with around 10 events a day there is plenty of variety and deals to suit everyone. They have products from both big brands and small boutiques and if you refer a friend who makes a purchase you can receive £10 credit - bonus! They have sales coming up for Powell Craft, Parah, GooRino, Monsuno, Heaven Sends and more. I love the look of the offers today which include rather cute clothing and nappies! I was really impressed by the quality and value for money of the clothing we received for Jamster so I've signed up myself too! The shorts were soft against his skin and thick enough to be worn pretty much all year round. The jacket is great for summer right through until autumn and the printed top has survived several washes, mud and food splatters already... boys will be boys! For your chance to win a Zulily voucher you can enter via the Rafflecopter entry form below. The giveaway closes on 12th July 2013. I love the White Lace Toddler dress http://www.zulily.co.uk/p/white-lace-dress-toddler-girls-1002942-316900.html?pos=1& Only £19.99! I'd like to buy a pretty dress for my little girl. We're going to a wedding next March and I've been keeping an eye out on Zulily for something appropriate. HOTmilk bra or a woven wrap. I love Zulily am on there every day checking out their deals! I've bought baby penguin a couple of dresses all ready! my little man would look adorable in this! I love the SpiritHoods - the little girl in the advert looks so cute! I think this is absolutely beautiful! http://www.zulily.co.uk/p/dolls-house-1003033-206683.html?pos=6& - best dolls house ever! Love these.... I'm such a sucker for Dungarees! My favourite today is Dundelina- adorable! I'm LOVING your sons camouflage shorts and the Star Wars t-shirt. The t-shirt is unstated and cool, and I'm not usually a fan of character clothing! Commented on Justin Going for Gold post! I love this!! I think my little guy would too.. looks so much fun!! I like the Baby Mule changing bags, they are really well designed! I'd like to buy a summer dress for my daughter. 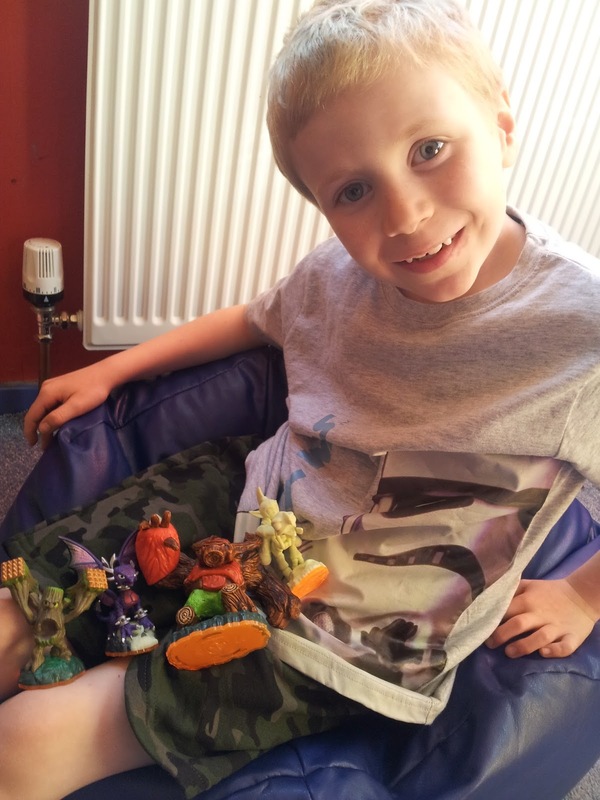 I would buy something for my gorgeous godson as I don't get to treat hom that much. the dalmation ride on is fab! all the sunglasses are adorable! I adore the clothes by Rockabye Baby. I wish I had a girl as the Lightning Bubble Dress is gorgeous! I love this colourful pullover! Perfect for chilly Summer/Autumn nights!! I like the Hand Puppet Books. I love the jelly and the pug stuff they get on zulily, so quirky and fun for my girls, at the moment I'd love any of this http://www.zulily.co.uk/e/seedling-110713.html?pos=-5 ! This site is great, bargains galore! !